When visitors come to Babylonstoren, whether it’s for lunch or a garden tour, they are sometimes surprised that an entrance fee of R10 per person is requested at the gate. On the ticket, it states that the money collected from this entrance fee all goes to the Babylonstoren Trust. 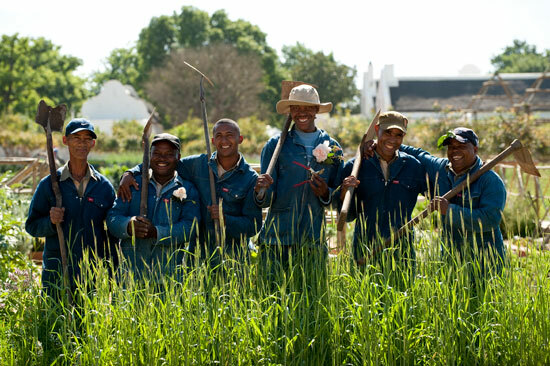 The Babylonstoren Trust raises funds for community projects, like the crèche where all the kids of our farm workers are cared for, while their parents are working. The Trust also helps local school children with soccer and netball kit and transport to sports days. So your R10 entrance fee is contributing to the upliftment of our community here at Babylonstoren, and we all thank you very much for this.